My kids are grown, but I still enjoy adding a silly Valentine card or treat to their lunch on Valentine's Day. 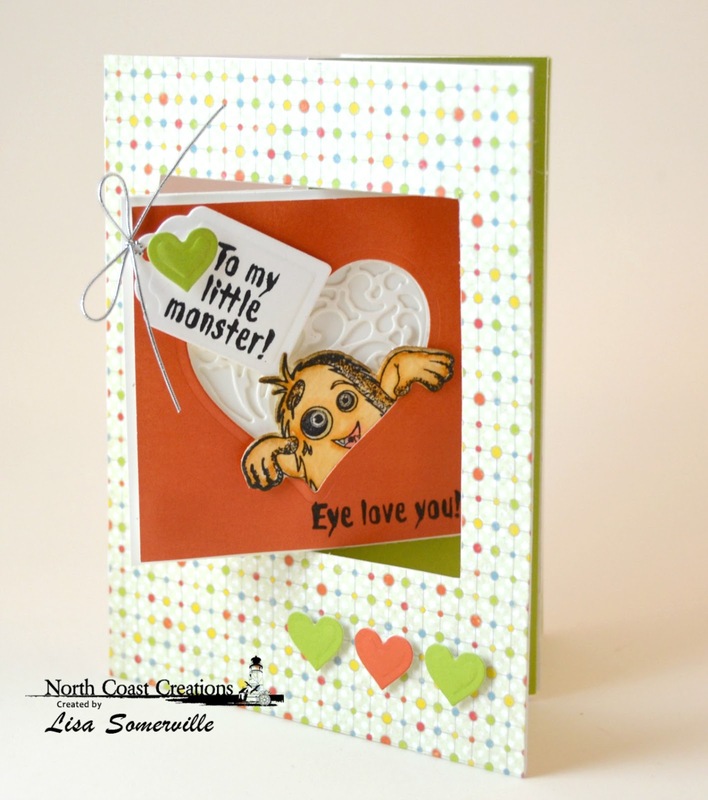 This fun interactive card was created using the Fun and Fancy Folds Lever Card Kit along with the Little Monsters stamp set and Monster dies. 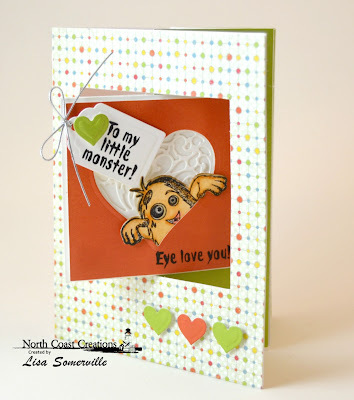 I used paper collections from Our Daily Bread Designs along with some additional ODBD die sets. Please see my supply list below for more details! Very cute, Lisa! Love it!